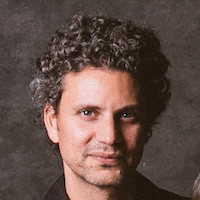 Dave Costenaro is Executive Director at Prepare.Ai and the Head of Artificial Intelligence Design at Ai Software, where he helps to set the research agenda and apply the latest techniques in machine learning and natural language processing. He brings a multidisciplinary perspective to his work based on his past 15 years applying data science and computer modeling techniques across fields such as aerospace structures, electric load forecasting, and consumer adoption of energy products. He is passionate about harnessing technology and economics to drive positive change. KEYNOTE: "Beyond the buzzwords: The true AI opportunity for business and beyond"
Session: We’re surrounded by media hype about AI. In this keynote, I’ll pull back the veil, explain what the buzz is all about, share real examples of AI's use (and misuse), and outline a path forward for individuals and organizations that want to go further in this exciting area. Along the way he’ll share insights from nearly 150 interviews with leading AI researchers and practitioners. Bio: Sam is the founder of CloudPulse Strategies and creator and host of the popular This Week in Machine Learning & AI podcast (TWiML). As an analyst, advisor, communicator, and consultant, he helps business and technology leaders understand the implications of and opportunities offered by machine intelligence technologies, and he works with vendors to help them appreciate the true needs of the customers they serve and thus more readily connect, communicate and establish credibility with them. He's also a frequent contributor at VentureBeat. Check out the podcast at twiml.ai/listen and follow Sam on Twitter at @samcharrington. Session: In 2017, David Karandish co-founded Ai Software, a company that is building an artificial intelligence platform to transform the modern workforce. You can think of it like a Siri or Alexa for work, but with secure access to all of your apps, documents and your institutional knowledge. Ai Software's platform "Jane" is a virtual team member that everyone can chat with to access information. In this session, David will share insights on what he’s learned about Natural Language Processing and Machine Learning as he and the team has worked to develop their artificially intelligent, conversational interface. Bio: David is a serial entrepreneur, cofounder of the EQUITY.com incubator and Co-founder/CEO of AI Software. He sits on the board of Varsity Tutors, Create a Loop, and Prepare.Ai. He is a computer scientist and businessman with 17 years of experience building technology companies, focusing on Online Advertising, SaaS, and Artificial Intelligence. 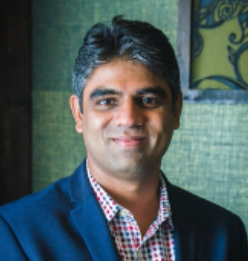 "Using Machine Learning to Mitigate Fraud, Waste & Abuse in Healthcare"
Bio: Pritesh is a Director in the Enterprise Data Science team within Knowledge Solutions, reporting up to ESI’s Chief Data Officer (CDO). Pritesh has over 12 years of experience solving business problems by using analytics and data. In his previous roles Pritesh performed outcomes research and business analytics for Express Scripts and ESI’s subsidiaries. In his current role he works with business and technology partners in developing and deploying machine learning and NLP models leveraging ESI’s vast data assets. The solutions Pritesh’s team develops are used by product teams, operations as well as ESI’s clients to improve patient outcomes and service delivery. Bio: Chris leads the Enterprise Data Science team within Knowledge Solutions, reporting directly to ESI’s Chief Data Officer (CDO). His team administers a best-in- class data science practice to ensure Express Scripts’ nearly 22 petabyte healthcare data ecosystem is operationalized with the most effective data science methods and technologies. The solutions Chris’ team produces are leveraged by multiple internal ESI organizations, direct ESI clients & patients and business partners across industries. To date, his team’s analytic solutions have driven in excess of $75M in value to the healthcare industry. 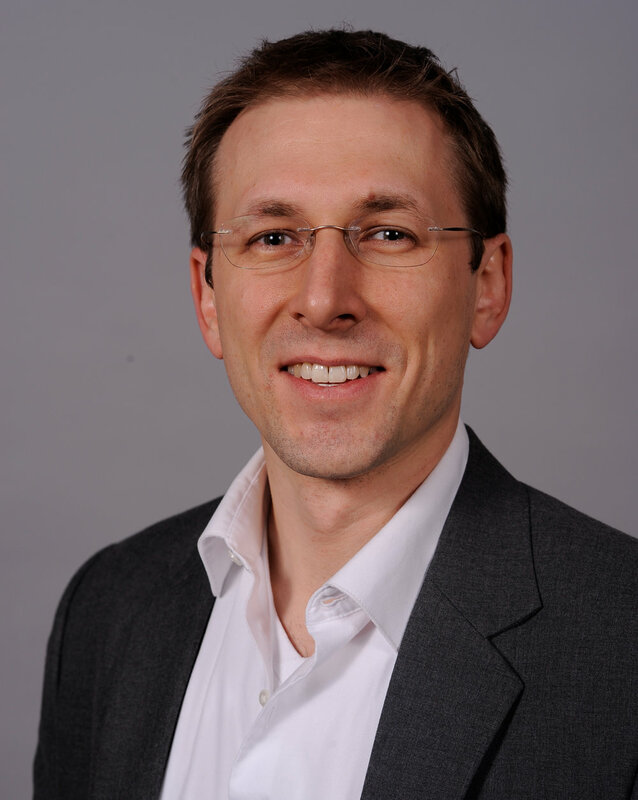 Chris has over 15 years of experience leading software engineering and data science organizations spanning multiple industries such as: Healthcare Technology, Financial Services, Biotechnology and Telecommunications. "Real Life AI Deployment Stories"
Session: This session will discuss the surging growth of AI adoption in the marketplace, how to get started, best practices for successful AI deployment, and case study examples of challenges and success stories from right here in St. Louis. 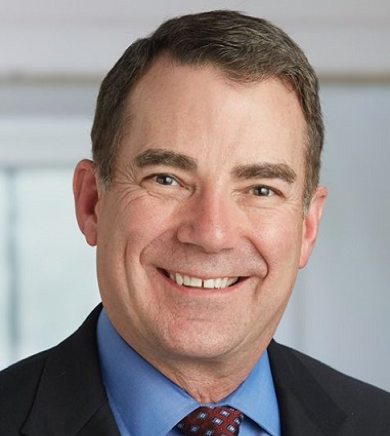 Bio: Tim Brooks leads solution development for AI, Deep Learning and digital initiatives in collaboration with WWT’s customers, account teams, and OEM partners. Tim has 20 years of global business leadership and consulting experience across a range of initiatives, including enterprise Big Data solution strategy, Deep Learning infrastructure, analytics development, data strategy, customer insights, and IT road-mapping. In 2010, Tim won Northwestern’s Kellogg MBA national VC/Start-up competition for excellence in innovation and start-up strategy. He is currently engaged in post-graduate studies for AI business strategy in a joint program between MIT’s Sloan School and Computer Science AI Laboratory. "From Experimentation to Insights: Building an End-to-End Deep Learning System"
Session: This session will cover an overview of how AI technology has evolved from Insight-to-Deployment to Inference in Production. I will focus on examples of reference architectures and various hardware solutions. Bio: Tony Paikeday is the Director of Product Marketing for the NVIDIA DGX portfolio of A.I. supercomputers at NVIDIA. Tony was previously with VMware, managing product marketing for the Horizon portfolio of virtual desktop products, and focused on key enabling technologies including GPU virtualization and software-defined data center. Prior to joining VMware, Tony was at Cisco, building its data center solutions marketing practice focused on desktop and application virtualization. Prior to Cisco, he was at Nortel selling into enterprise and service provider accounts, after having started his career as a Manufacturing Engineer for Ford Motor Company. Tony holds an engineering degree from the University of Toronto. "Best Practices in Structuring a Team to Build Conversational AI Solutions"
Session: Delivering a chatbot with a compelling user experience requires a little more than knowing your user. This session will give you insight into the organizational considerations to design, deploy and manage a chatbot. Learn about the key roles and skills you should foster within your organization to underpin your success with AI in the chatbot space. Bio: Ellen Kolstø has been conducting user and consumer research for 18+ years. She started her journey in the world of advertising working as a Strategic Planner for agencies such as Young & Rubicam, Mullen and GSD&M. In 2012 she moved to market and product research heading up qualitative research in North America for System 1 Group (formerly BrainJuicer). Since joining IBM Watson, Ellen has focused on understanding the teams developing AI products including conversational systems (e.g. chatbots) and cross-platform AI solutions. "Distribution Circuit Load Forecasting Using Advanced Metering Infrastructure Data"
Session: The ability to perform very short to very long-term forecasts of distribution circuit loads at intermediate distribution circuit locations between customer meters and substation feeder buses using AMI (Advanced Metering Infrastructure) data provides significant advantages to distribution system planners and operators in a number of areas. Some of the important applications of these forecasts include anticipation of device overloads, facilitation of switching operations, and helping with DER (Distributed Energy Resources) integration into system operations. This session presents forecasting results for distribution circuits using SAS® Energy Forecasting, which uses methods such as GLM to generate forecasts. Results for different circuit locations are derived from Ameren Illinois AMI and circuit taxonomy data. Included in the presentation are details of the forecasting methodology and a discussion of applications to distribution system operations. Bio: Mark Konya is a Principal Industry Consultant at SAS. With over 35 years of electric utility experience in applying analytics to derive business value, Mark shares his expertise with customers on integrating SAS into utility operations. 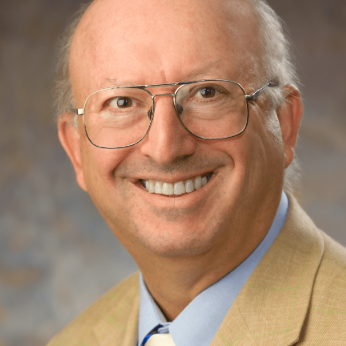 Mark is a professional engineer, a Six Sigma Black Belt, Lean-certified facilitator, and a member of IEEE. Session: How do YouTube, Google Play, or Yahoo News recommend content? With the exponential increase in use and access of online shops, online music, video and image libraries, search engines and recommendation system are the best ways to find what you are looking for (and sometimes, what you are NOT looking for). Meanwhile Deep learning has made significant advances in speech, numeric, text and image processing. I will share the recent advances made in the field of recommendation systems using deep learning. Typical recommendation systems can be organized into three groups: Collaborative system, Content based system and Hybrid system. I will discuss a few recommendation systems coupled with deep learning methods in several application domains. Attendees: Beginners and Intermediate skilled in Recommender systems What to expect: The attendees will understand the concepts and discuss the building blocks of Recommender Systems. The attendees will also get to evaluate a few systems and learn techniques to enhance the recommender systems. Bio: SK is the Chief Product Officer of AI at Hexagon (www.hexagon.com). He is a technology entrepreneur, speaker, and avid AI and ML blogger. "Machine Learning to Discover Physics and Engineering Principles"
Session: Innovations in machine learning and adaptive, data-driven control provide an ideal integration platform for self-tuning engineering systems. Merging physical and engineering systems with state-of-the-art AI platforms will transform many technological fields. Examples include self-tuning laser systems, flow control, and AI enabled biomedical devices. Bio: Nathan Kutz is the Yasuko Endo and Robert Bolles Professor of Applied Mathematics at the University of Washington, having served as chair of the department from 2007-2015. 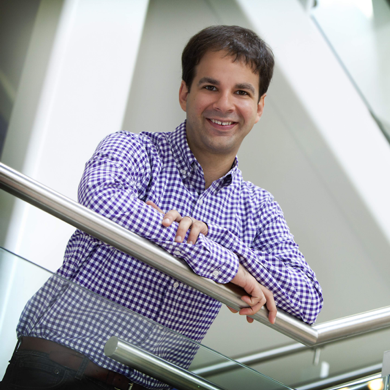 He has a wide range of interests, including neuroscience to high-power lasers, where he integrates machine learning with dynamical systems and control. "ONNX - The Lingua Franca of Deep Learning"
Session: ONNX is an open source format to encode deep learning models that is driven by industry leaders such as AWS, Facebook and Microsoft, and supported by a growing number of frameworks and platforms. With ONNX, deep learning practitioners gain model interoperability, which enables to pick and choose the framework and platform that is best suited for the task at hand. In this talk, I will dive into the ONNX format, explain the motivation, demo use cases, and discuss the roadmap. Bio: Hagay has been busy building software for the past 15 years, and still enjoys every bit of it (literally)! He engineered and shipped products across various domains: from 3D cardiac imaging with real time in-vessel tracking, through semi-conductors fab systems that measures structures the size of molecules, and up to web apps that scale to millions of users world wide. He is currently an Engineering Leader at AWS, working on AI and Deep Learning. "Creating Compelling AI That Isn’t Science Fiction, Today"
Session: I’m defining what it looks like to design and build compelling AI experiences that users care about with the tools and knowledge available right now. Suitable and welcome to all technical proficiencies! "Behavior Prediction using Loyalty Programs"
Session: Maritz Motivation Solutions recently made headlines for it's pioneering use of AI in the credit card loyalty space. In this session, Chief Data Officer Jesse Wolfersberger will talk about that case study and why it's only the tip of the iceberg for what AI will mean for the future of brand-consumer interactions. 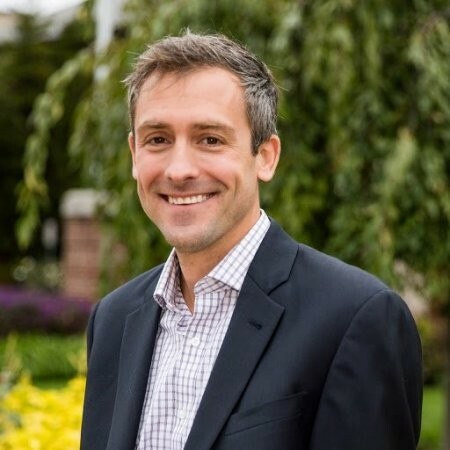 Bio: Jesse Wolfersberger is the Chief Data Officer for Maritz Motivation Solutions. He leads Maritz's Decision Sciences team, a group of data scientists who specialize in merging the fields of behavioral science and artificial intelligence. Jesse's career started as a sports writer, before jumping into marketing as Director of Consumer insights for digital media think tank GroupM Next. In his free time, Jesse uses his data skills in the baseball world, where he consults for a Major League team. "Mapping the Fashion World with Deep Networks and Transfer Learning"
Session: Instead of asking “I love your shoes, where did you get them?”, what if you could just snap a picture and go directly to an order page? This is the promise of visual product search, a feature which has appeared in a variety of applications in the past year. In this talk, I will discuss how you can build your own visual product search using any custom dataset. Leveraging the success of deep convolutional networks at image classification tasks, we will use transfer learning to speed-up the training of an image classifier on a set of fashion product images. After tailoring the pre-trained network to our specific dataset, we will use the values of an intermediate layer as the feature vectors for measuring product similarity and searching for the nearest matches. We will also incorporate human feedback for model selection and explore how we can use the generated features to create a map of the fashion world and explore the relation between products to identify new opportunities and provocations. We will see how our product search features can serve as the foundation to use AI to guide human style and creativity. 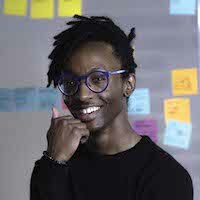 Bio: Nat is a Data Scientist at IDEO, formerly at Datascope, where he works on design for augmented intelligence with an interest in deep learning. He received his PhD in physics from the University of Maryland, College Park, where he worked in a lab shooting lasers at diamonds. "Building a Data Pipeline that Benefits the Entire Company"
Session: Many analysts do not have the skills required to access customer-level data, leaving them unable to take advantage of this increasingly common data. This talk describes a data-pipeline framework that enables not only data scientists but also analysts throughout an entire company to access rich, customer-level data. I will reference different technologies used in this framework, but use no code. Data Scientists, Data Analysts, Data Engineers, Product Managers, and anyone else interested in data distribution will benefit. Bio: Dan is a Data Scientist at Showtime Networks Inc where he builds data pipelines and production machine learning models. Dan received his PhD from the University of Iowa and did a Postdoc at Columbia University. "How Automated AI is Reshaping Analytics"
Session: Automated AI is reshaping analytics within organizations. This talk focuses on the value automated AI brings and how it changes analytics within an organization. It starts by recognizing that with AI, organizations are moving beyond insights into predicting and changing outcomes at the individual level. With the introduction of Automated AI, several changes occur. The first is the improved accuracy and rapid development time of models. Automation also allows for ease of use, which opens analytics to more than just data scientists. Finally, with the ability to rapidly deploy models, Automated AI can have a quicker impact on the bottom line. The talk will end with a short demonstration of Automated AI. Bio: Rajiv Shah is a data scientist at DataRobot, where his primary focus is helping customers achieve ROI from automated AI. Previously, Rajiv has been part of data science teams at Caterpillar and State Farm. He has a PhD from the University of Illinois at Urbana Champaign. "Process for Building a Data Pipeline for User Customization"
Session: In our business, we want to target the right advertisements to the right people at the right time. We will follow the journey of the business problem, the tactics we tried, and our approach to a ML solution to solve the problem. Bio: Pat is a Senior Engineering Manager at Multiply. Before this, he worked at the Brighton Agency and Deloitte Consulting. He has a BS in Computer Science from Washington University in St. Louis. "Using Machine Learning to Automate Investment Research"
Session: AI technology including NLP and machine learning can be used to help finance professionals cut costs and make better investment decisions. Learn how this process works and how to develop options for delivering the insights to customers. Bio: Brian brings his experience serving as a finance and operations leader in venture-backed technology companies along with his extensive experience consulting for companies ranging from start-ups to public companies to the Prattle team. Brian is a CPA and holds an MBA from Washington University in St. Louis. "Hotels2Vec: Using NLP To Compare Real-World Properties"
Session: We are using a variant of the word2vec algorithm to process hotel review data (and other features) to build a distributed representation of hotels in the US. From this there are some novel ways to compare/contrast hotels and their guests. The NLP component comes from the review texts of sites like TripAdvisor, Booking.com etc. Bio: Passionate about solving problems with data. Having seen first-hand how fast growing startups solve data challenges (Upsight, Revinate, Gainsight), I know the playbook for success. I founded NBS to give teams the tools and techniques of the top data-driven companies. "The Designer of the Future"
Session: The mindset, methods and skills designers will need as we move into the era of creating human and machine relationships. Bio: With a background in Swiss design and typography, Jennifer’s journey as a designer has evolved from branding to interfaces, apps to AI. Today she works with Watson, leading creative and holistic thinking across IBM’s platform of AI experiences. She teaches Advanced Design for AI at the University of Texas’s Center for Integrated Design and sits on AI technology boards for the National Head Start Association and UT. She graduated with her BFA from Kent State University. "Deploying Alexa Skills for Businesses"
Session: We will examine the latest AI and NLP technology by digging into Alexa Voice and Alexa Video, and applying custom skills for businesses. Bio: Bob is the Founder and CEO of VoiceXP, a St. Louis based software as a service company that's 100% focused on voice platforms like Amazon Alexa, Google Assistant, and Microsoft Cortana. We're not an ad agency, not a marketing shop, and we don't do SEO or PPC. VoiceXP is an Amazon Recommended Agency and Advanced Amazon Partner that's leading development for enterprise business and brands who want to increase productivity, efficiency, and drive sales & marketing using Voice technology in Amazon Alexa. "Model Serving for Deep Learning"
Session: Deep Learning has been delivering state of the art results across a growing number of problems and domains. Correspondingly, Deep Learning models are being deployed across a growing number of applications and use cases. In this talk, you will learn about what deploying deep neural networks to production mean, design considerations and challenges for model serving, and how the open source project Model Serving for Apache MXNet is designed to address these challenges.